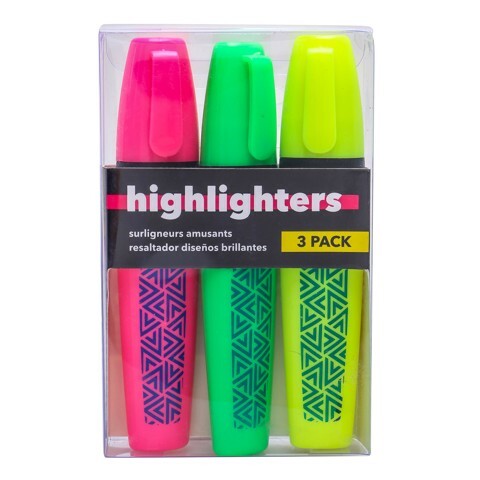 Highlighter W/Pattern 3Colours. 11.5 x 2cm. Pink | Green | Yellow. PP. 16G Packaging: Acetate Box with Colour Sleeve.